This is a question we get more often than not. There are some pricey shoes out there on the market, but they’re pricey for a reason. A lot of work goes into developing the technology required to make cycling shoes that deliver the perfect balance of power transfer, weight savings, comfort and breathability. Do you need this perfect balance of technology for your riding purposes? Well, that’s up to you. If you’re driving 15 km across town on the highway and you go 20 km/h over the speed limit (120 km/h instead of 100 km/h), you might save about 30 seconds. In the grand scheme of things, that’s not a lot of savings. Now, if you’re driving all day for 8 hours and you go 20 km/h over the speed limit, it’ll literally save you hours. You’ll go an extra 160 km in the same time period (unless you get pulled over)! We’re not saying you should speed on the highway (in fact we highly recommend that you don’t), but what we are saying is, it all adds up! 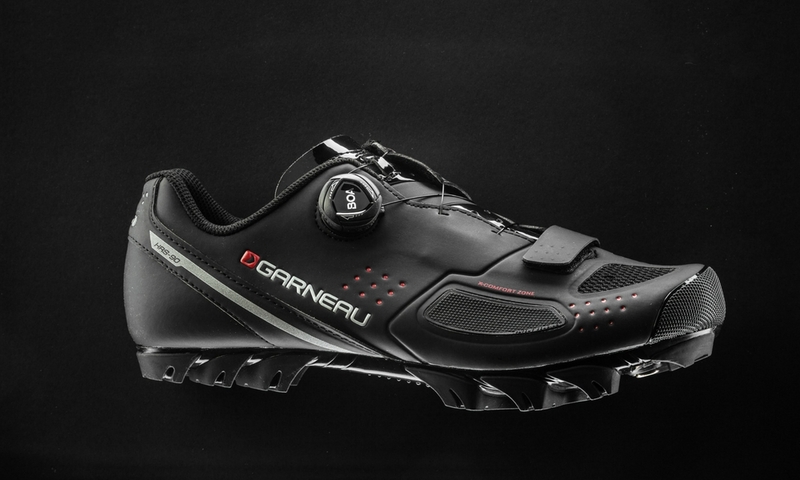 Everything you get from higher end cycling shoes, the additional features/benefits, the weight savings, the increased power output, it all adds up. If you’re riding for long distances, at high outputs, long climbs, technical descents, having better equipment will get you to the finish line easier, faster, and with more confidence. 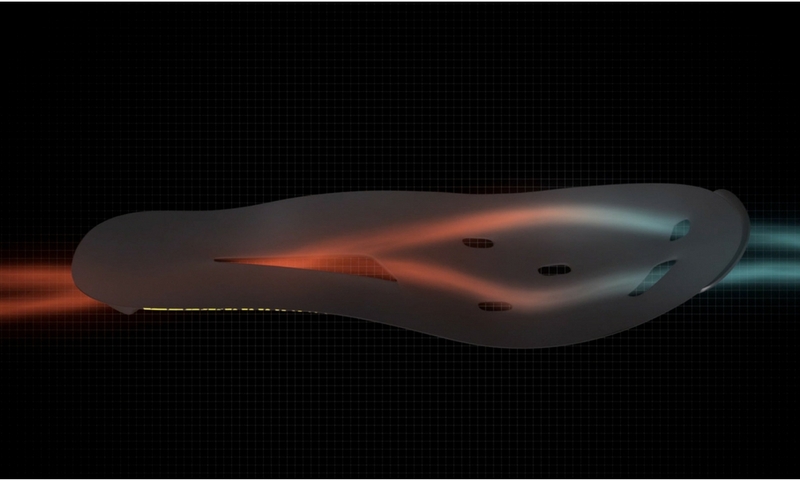 We’ve put years of work into our patented, and award-winning footwear technologies. One of the biggest problems cyclists have is their feet swelling during cycling, which causes the forefoot to expand, and smash against the inside of the shoe. Traditional cycling shoes have no room for this expansion, and can cause tingling, numbness, hotspots and bunions on the foot. The award-winning and patent-pending X-Comfort Zone was designed to be an expandable zone to accommodate for this type of swelling. The X-Comfort Zone can stretch up to 5 mm to provide comfort and to prevent numbness during long rides. In addition, the X-Comfort allows shoes to fit “C” and “D” widths, eliminating the need for “wide” versions of shoes. The fastening systems are what lets you control how tight the shoe is and secures the shoe to your foot. Typically, you’ll find either a Boa® closure system which allows adjustments with millimeter accuracy, a ratchet adjustment system that has the advantage of being very durable, or a Velcro-type hook-and-loop fastener that makes shoes easier to slip on and off in triathlons. Each system is need-based and offers particular advantages. The Power Zone is a non-stretchable laminated section of the upper that allows for better transfer of energy when pedaling, by preventing the foot from slipping around. When pedaling, you want your foot to act as a rigid lever, and the Power Zone helps the foot stay in place. It also prevents the shoe’s upper from tightening or loosening during the ride, which helps prevent numbness and soreness. The ultimate in cooling and breathability on hot summer days. 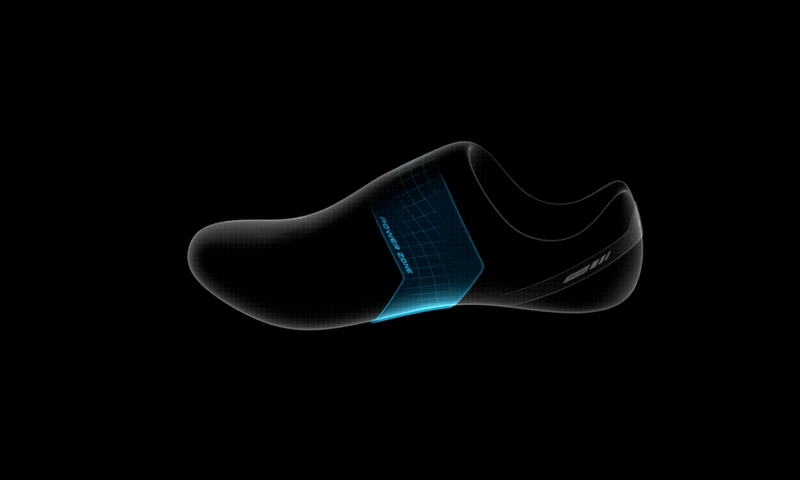 Our Ergo Air® Insoles literally cool your feet when riding. Whether it’s the Transfo 3D version that comes with the Course Air Lite II, the “Cool Stuff” version, or the IceFil version that’s heat-activated to cool your feet, we provide you with the best foot support on the market. Just like the Power Zone, the HRS’ purpose is to keep the foot secure and in place. A common area of foot slippage is in the heel, so we designed a system to keep the heel in place to maximize power transfer. In general terms, it’s a directional fiber that points downwards, interacts with your socks, and provides a system for the two fabrics from the HRS and the sock to keep the heel in place. We have four different HRS technologies that are designed to go with specific shoes and provide targeted support based on the style of riding you do. Ergo Air® outsoles have been strategically designed to provide excellent toe-to-heel airflow. Vents in the front and rear of the outsole allows air to come into the front of the shoe while pedaling, be dispersed throughout the inside of the shoe, and allow for hot air to escape out the back of the foot. Doing this promotes breathability, allows sweat to dry extremely fast, and as a by-product keeps your feet cool no matter the duration of the ride.